Ten years ago shader algorithms revolutionized the gaming industry by providing a way to write custom code that runs on the massive parallel processer available in the GPU. Now these shaders are available for .NET developers too. Pixel shaders can take existing UI elements and perform impressive transformations upon them. If you've worked with photo editors like Photoshop then you've probably encountered effects like Sharpen, Gaussian blur and Inner Glow. Now you can create similar effects in your application with Silverlight and WPF custom pixel shaders. In this webcast you will learn the concepts behind pixel shaders and see how .NET makes it simple to create managed wrappers for the shader binaries. You'll also explore the special language for constructing shaders; known as High Level Shader Language (HLSL) and learn how to produce stunning effects with this C-like language. In addition you will explore useful third party shader tools and see how Expression Blend can be used to quickly add and configure shaders for your UI. Walt's enthusiasm for crafting software interfaces blossomed early. Just a few days after discovering how to make pixels move around the screen of a borrowed computer he was devouring books on the topic of computer graphics and UI design. Now he travels the world speaking at software conferences and teaching a diverse portfolio of programming topics for corporate clients. On the consulting side he continues to work with customers like Microsoft, HP, Intel, and Intuit and enjoys being part of the Wintellect consultant group. 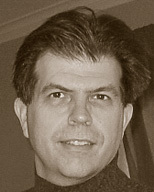 Recently he has entered the video training market producing .NET titles for Lynda.com He writes for several publications including Code Magazine and TechTarget.com. His current UI obsession revolves around the Windows 8 Metro, Silverlight, Surface and WPF APIs. You can find his blog at blog.wpfwonderland.com. Walt is also a Microsoft MVP and author of the free Shazzam WPF Shader utility (shazzam-tool.com).